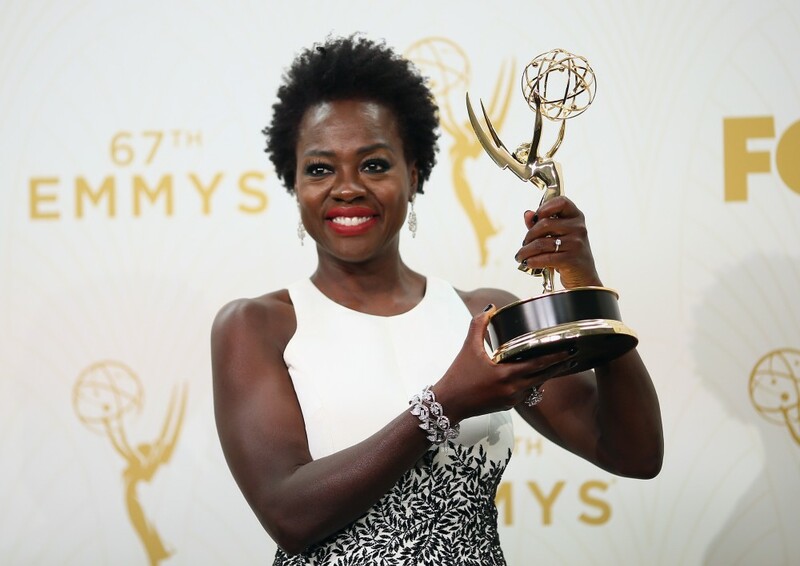 Viola Davis is the first black woman to win an Emmy for Outstanding Lead Actress in a Drama Series. Davis’s win came at the 67th Primetime Emmy Awards on September 21, where she was acknowledged for her performance in the ABC drama hit, How To Get Away With Murder. The win is momentous, both for Davis and for women of color in Hollywood. After sharing an embrace with fellow nominee Taraji P. Henson, Davis walked on stage and delivered a powerful speech in which she quoted Harriet Tubman and addressed the struggles that women of color face in Hollywood—namely, in having so few roles available to them. “‘In my mind, I see a line. And over that line, I see green fields and lovely flowers and beautiful, white women with their arms stretched out to me over that line, but I can’t seem to get there no how. I can’t seem to get over that line.’ That was Harriet Tubman in the 1800s,” Davis said. Backstage, Davis said, “My story doesn’t end here,” according to the AP. Watch Davis’s full speech below.